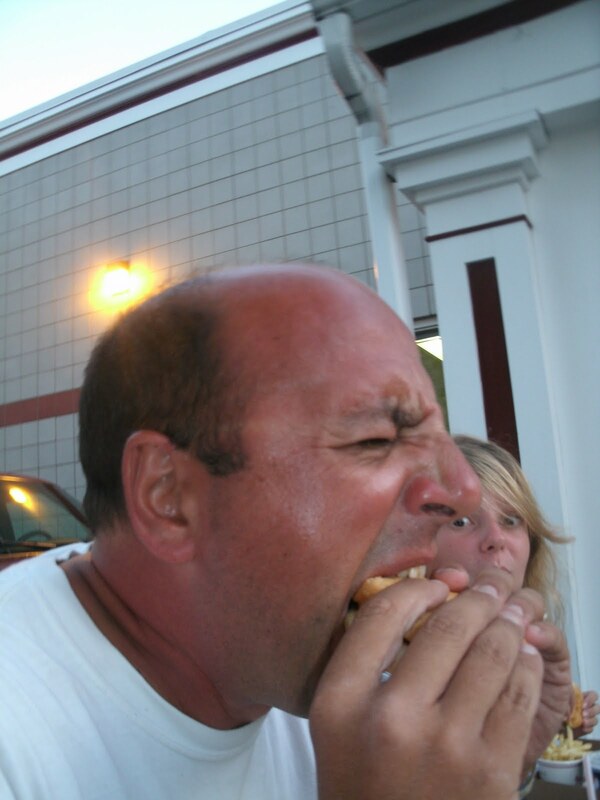 A lot of would-be hotdogmen think of their truck as the absolute, complete hot dog business. Oftentimes, this is true; but today’s story recalls a business that got started in a truck and grew to a much bigger and more permanent concern. On the last day before school started, I treated the girls to a day at Old Orchard Beach in Maine. 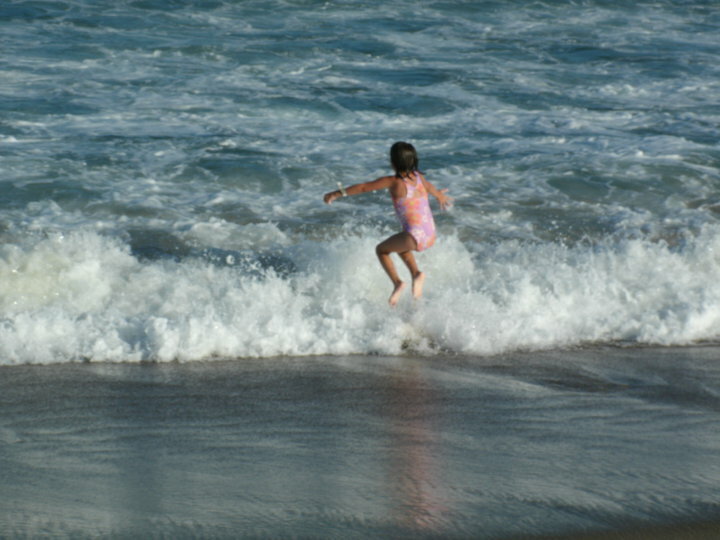 After dodging waves…. 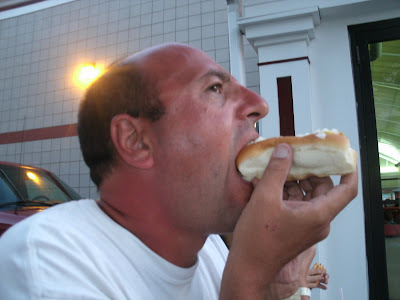 ….and frolicking in New England’s LAST seaside amusement park, we needed some dinner. 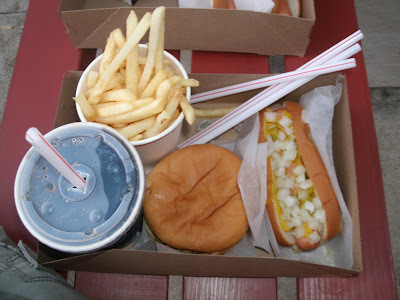 I wanted to go to a place I’d read about in my continuous quest for a good Hot Dog Story: Rapid Ray’s. 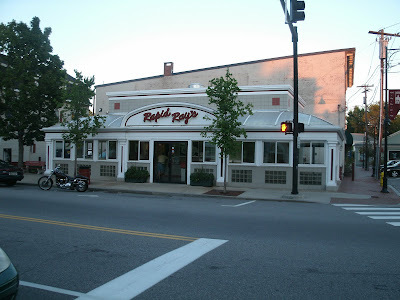 Rapid Ray’s was started in 1953 out of this second hand truck in downtown Saco, Maine. Rather than re-tell a tale that’s been told, you can read about the inspiring and colorful history of Rapid Ray’s on their website. 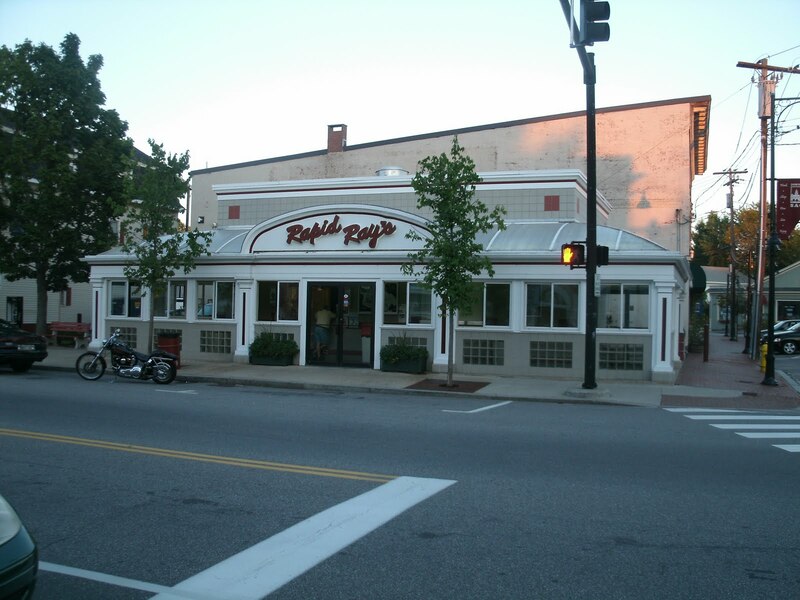 Rapid Ray’s is located in the heart of downtown Saco, Maine at 189 Main Street. We passed at least a dozen “big name” fast food joints on our way to Ray’s including Kentucky Fried Crud, Taco Hell, McBlech, and others. 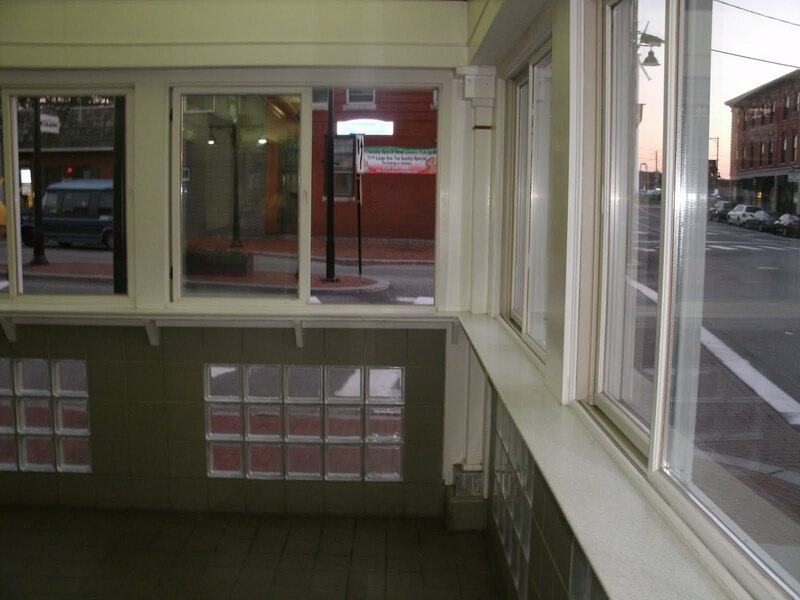 After four “Hot Dog Trucks,” Ray decided to go “brick and mortar” in 1986 when this diner-like building was opened. 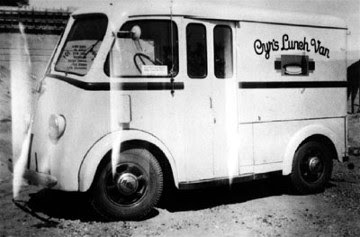 Rapid Ray was serving food out of his various hot dog trucks (or should I say cheeseburger trucks) for 33 years before opening a “store.” 33 years is a long time to be doing ANYTHING, never mind running a mobile food business. 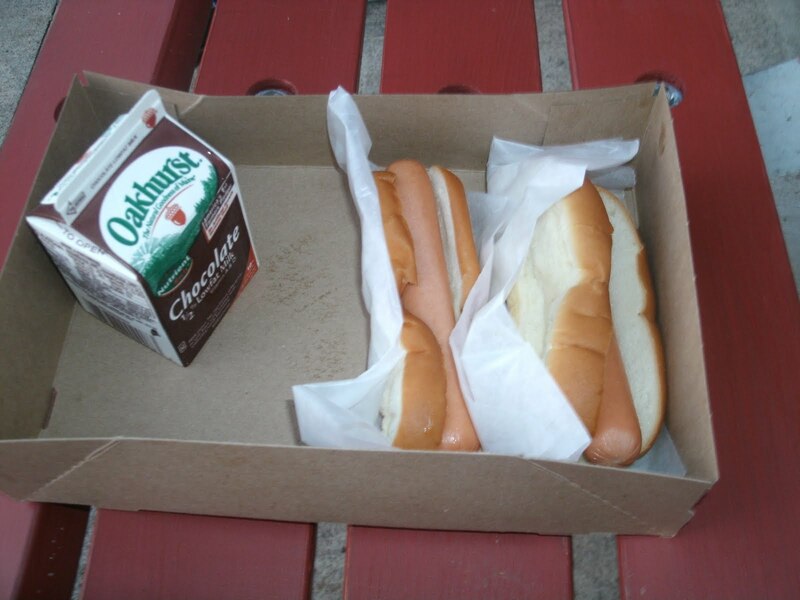 For all you hot dog man wannabees out there, take note of the continuity Rapid Ray’s demonstrates. The third generation should be poised to take over soon! 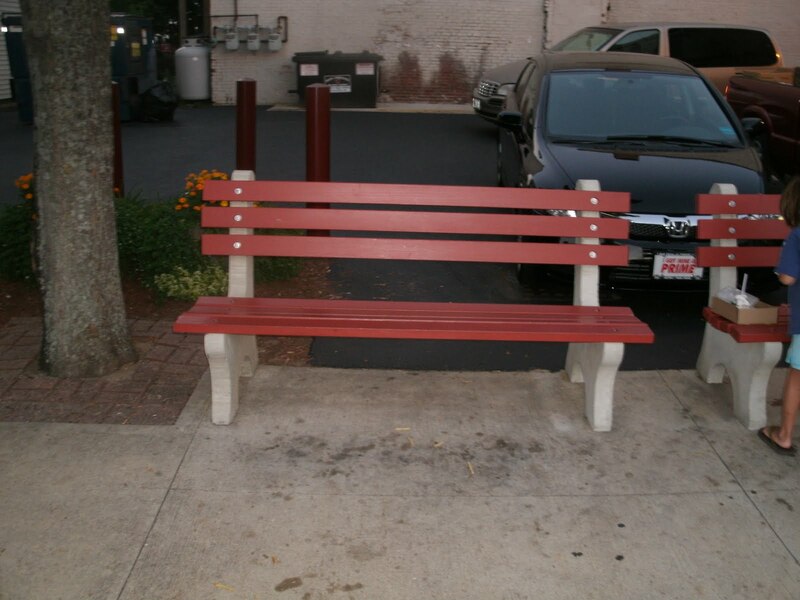 When Ray was designing the place, he wanted to keep the feel of serving food off a truck- the order window is slightly elevated as it would be in a hot dog truck and there are no seats in the place. The diner like styling of the exterior magnifies the whole retro experience. 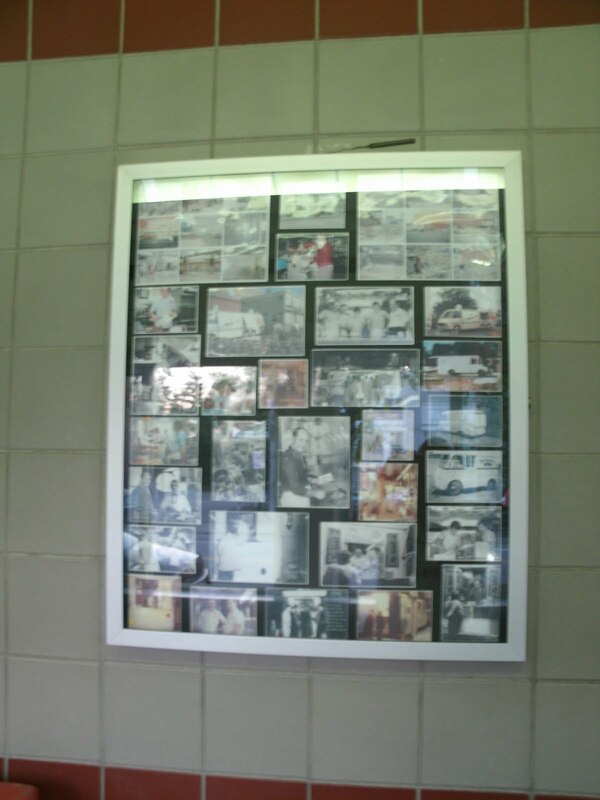 There are old photos on the walls, a tribute to Rapid Ray’s history. After looking around, I surveyed the menu. While our food was cooking, I surveyed the dining room options. In keeping with the “Hot Dog Truck-like” atmosphere, there are no seats inside. There are many benches outside and, since it was a such a refreshing and delightful August evening, we took that option. 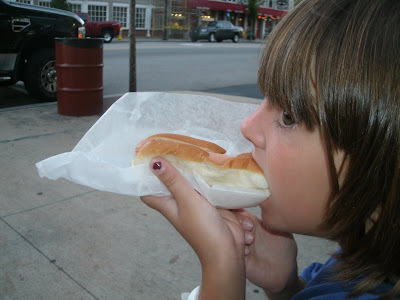 Little Miss was hungry after a full day at the beach and ordered two plain dogs. 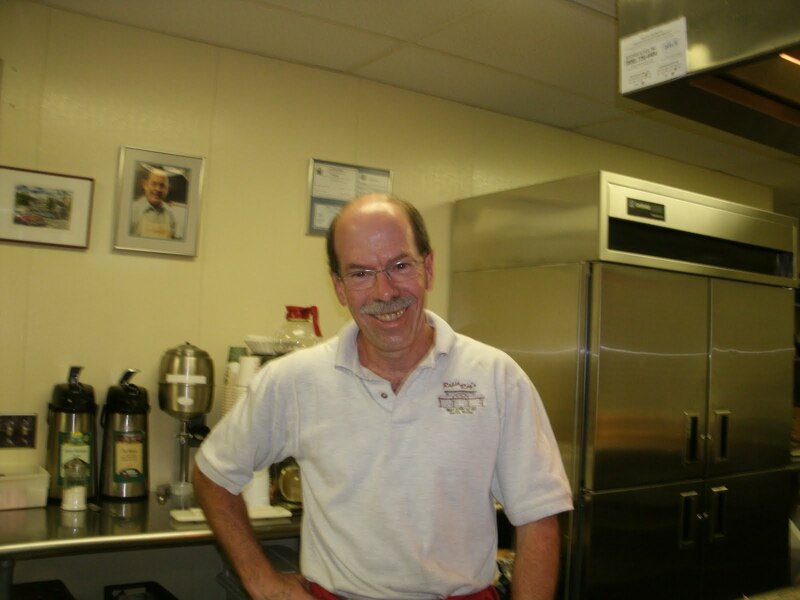 Rapid Ray’s uses a Kayem frank, made specially by Kayem for them according to Ray’s demanding taste specifications. The dogs are served on steamed buns. The condiment choices include the standards: cheese, mustard, relish, onions and ketchup. You can also get a chili dog with Ray’s home-made chili. I opted for an all around dog and Ray’s quintessential hot dog: the cheeseburger (with ketchup and onions)! Some fries and a Pepsi rounded out my meal. Here I am woofing down my first cheeseburger on Hot Dog Stories with my 13 year old daughter photo bombing me. The Hot Dog was spot on perfect: good and HOT with that signature Kayem SNAP and a generous but not overwhelming amount of condiments. The cheeseburger was the best I have had in years: a testimonial to the care Rapid Ray’s puts into hand trimming and selecting all of the beef used in their burgers. 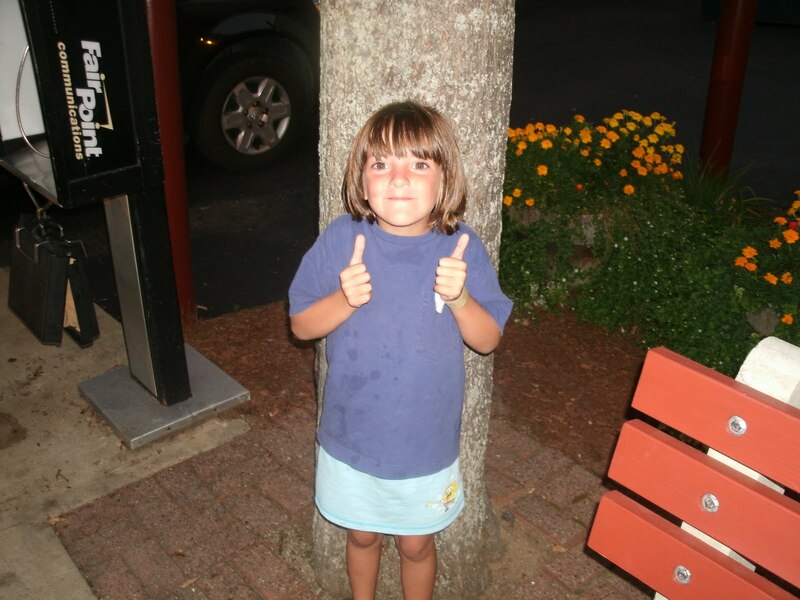 Little Miss gives Rapid Ray’s TWO THUMBS UP!! So does the Cheeseburger Princess and the Photbomber (camera-shy). The Hotdogman gives two thumbs up too: THAT’S EIGHT THUMBS UP! 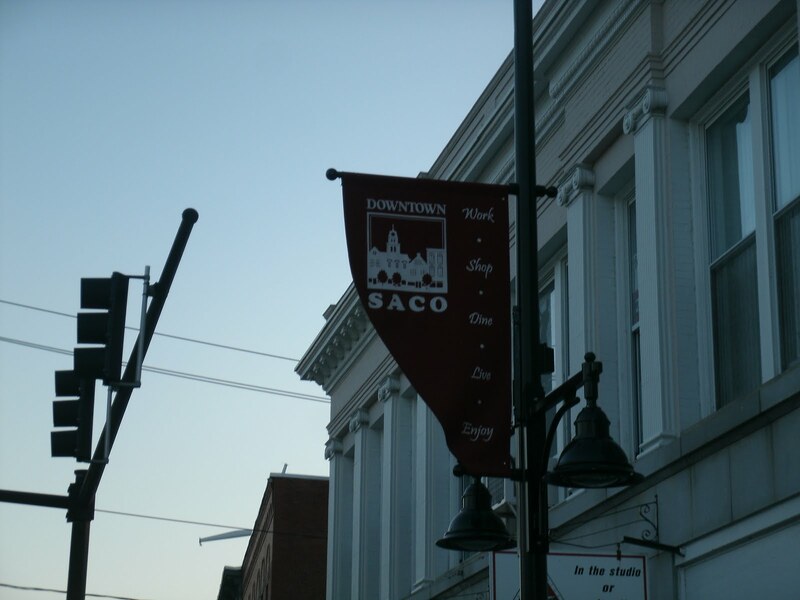 When in Saco, there simply is no other place to eat. 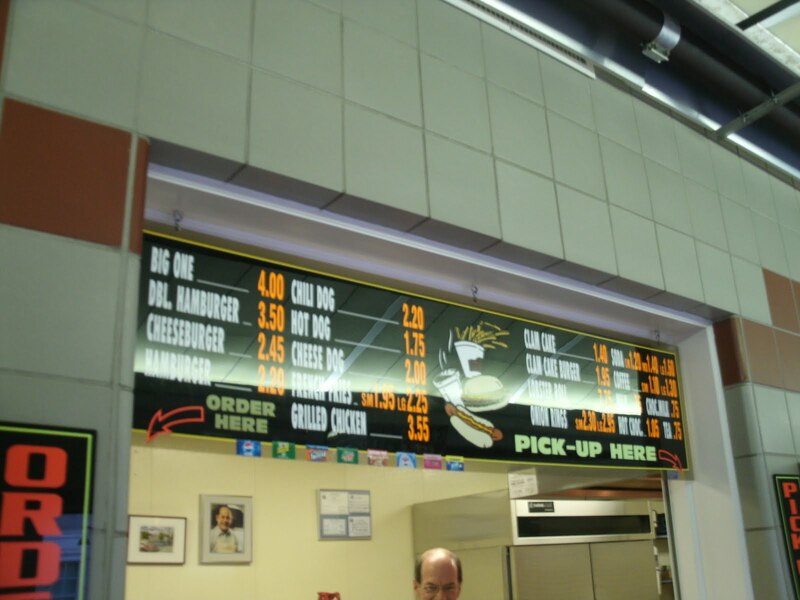 Rapid Ray’s is a MUST VISIT ESTABLISHMENT!